What Is a Chinchilla Breeder? 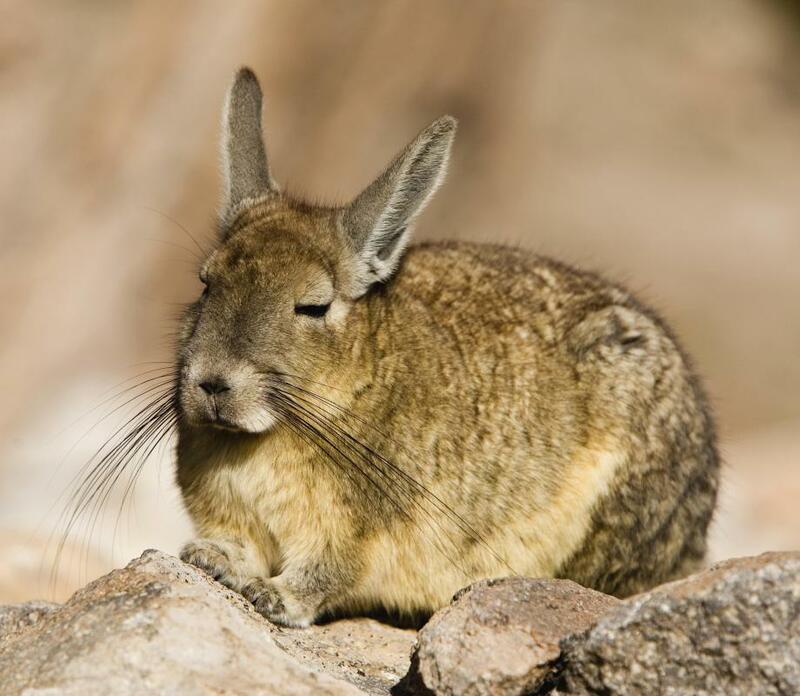 Wild chinchillas are rare in many areas due to over-hunting. A chinchilla breeder mates a nocturnal rodent called a chinchilla to achieve certain goals, like producing genetically superior animals for the pet trade or for show. Sometimes, a chinchilla breeder breeds specifically for the fur trade or other chinchilla markets besides the pet trade. Many breeders are part of an association that sets specific standards to meet when breeding chinchillas. Chinchillas resemble a cross between a ground squirrel and mouse, and make relatively high-maintenance pets. In general, it is best to purchase a chinchilla from a reputable hobby chinchilla breeder to ensure its good health and socialization. There are all sorts of chinchilla breeders, but one kind that is especially popular is the mass breeder who sells to pet stores. A chinchilla breeder who breeds in mass typically cannot socialize and care for the animals as well as a hobby breeder. Chinchillas normally have small litters, usually around two babies, so breeding in mass to support multiple pet stores requires having many chinchillas. The young chinchillas are sold as soon as possible, and then it is up to the pet store employees to keep the animals socialized. Many people believe mass breeding is a form of animal abuse, and therefore refuse to purchase animals from pet stores. The hobby chinchilla breeder is generally the type of breeder who has few chinchillas in order to properly take care of them all. He or she usually breeds chinchillas to sell to show them, sell to private buyers, or both. While it is widely believed that purchasing from a hobby breeder is better than buying from a mass breeder, it is no guarantee that the animals have had better care. In fact, many people insist on viewing the animal’s home and looking over the birth certificate before buying. Another type of chinchilla breeder breeds primarily for the fur trade. A well-bred chinchilla has soft, thick fur all over its body. In some places, wild chinchillas are nearly extinct because of over-hunting, so the vast majority of chinchilla fur is acquired through farm-raised animals. Depending on the location, chinchilla fur farms can become certified. Chinchillas as house pets can be overwhelming for those who previously owned low-key animals like hamsters. They require extensive amounts of exercise, a very specific diet to remain healthy, and special dust to bathe in. The room temperature in which a chinchilla is in must be moderated because the animal cannot sweat and may overheat. These precautions and more must be taken into account by chinchilla breeders to keep the animals alive and healthy and social. What Is the Process of Chinchilla Adoption? What Are the Advantages of a Chinchilla as a Pet? How Do I Care for a Chinchilla? How Do I Care for Chinchilla Babies? What Are the Best Tips for Buying a Chinchilla? What Are the Best Tips for Breeding Chinchillas? What Are the Different Chinchilla Breeds?